LIP INK is the world's only 100% smear proof color cosmetics & semi permanent makeup that is hand crafted in the USA using natural, vegan, kosher, and organic botanical ingredients. Introducing the world's only 3 product lip kit system giving you 100% smear proof and waterproof lipstick. Get ready for a totally unique experience in 100% smear proof, semi-permanent color cosmetics! 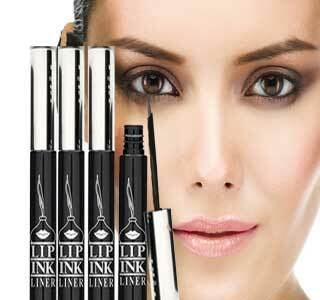 The LIP INK® color cosmetic line is a revolutionary concept in all-day wear. Combining empowerment with health and convenience, this completely natural line of sustainable cosmetics has all the attributes that you've ever imagined! Formulated from organic, vegan, natural and kosher botanical ingredients, it's a guilt-free color cosmetic line you'll feel confident using not only because it's self manufactured in the U.S.A, but also because it's 100-percent cruelty-free. No LIP INK® product is ever tested on animals. 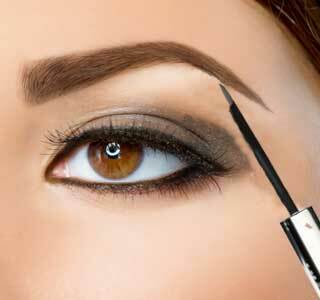 We're confident that once you've explored our line of waterproof, smear-proof, semi-permanent cosmetics — all carefully formulated and responsibly crafted from the finest ingredients nature has to offer — you'll agree that we provide the perfect combination of beauty, responsibility, freedom and empowerment. They'll naturally and safely enhance your look for hours on end, letting you apply your lip color and then forget it so you can focus on living life to the fullest. Go for the glow. Check out our complete line of LIP INK® 100% smear proof natural cosmetics and save with free shipping on orders of $150 or more.